Maria Montessori began her journey in education working with children in an asylum and others who lived in the city slums. Her method and materials were first developed based on observations of children she worked with in these settings. 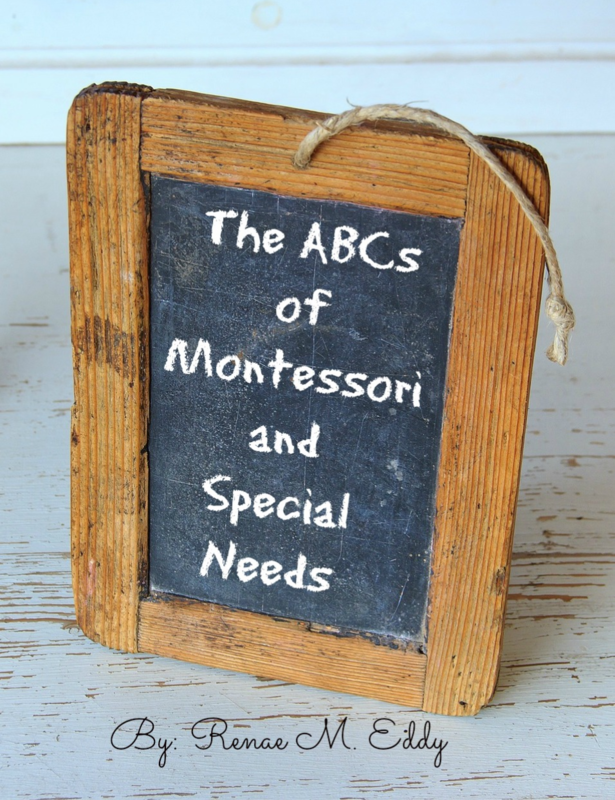 So often parents and teachers wonder if Montessori is right for children with special needs. After six years of experience using the Montessori Method with my own four special children with various developmental, emotional and physical diagnoses, I'm here to say YES! It's a perfect fit. The key to success is understanding how the Montessori and special needs worlds work together. Maria Montessori was years ahead of her time in her observations and solutions to problems educators face when teaching children with special needs. Her work is only beginning to receive the recognition it deserves. 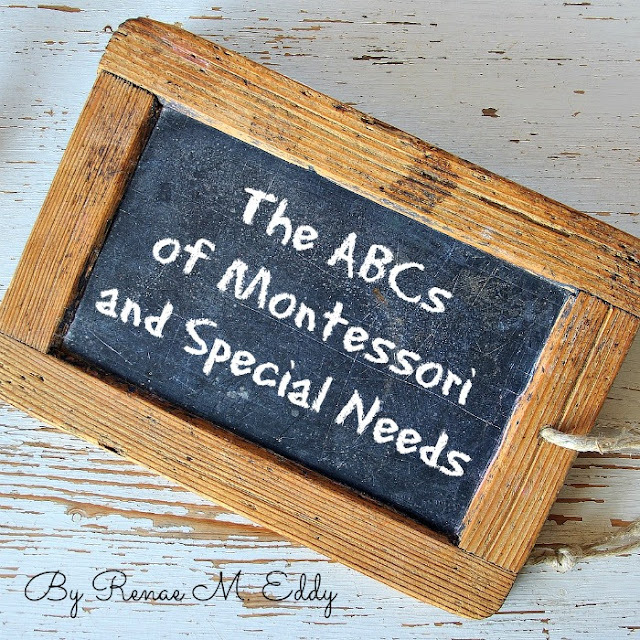 My book, The ABCs of Montessori and Special Needs provides explanations, resources, and tips on how Montessori can help a child with special needs succeed in learning. This book is divided into 26 sections, one for each letter of the alphabet. Sections cover topics such as, but not limited to: behaviors, developmental age, fine motor skills, proprioceptive stimuli in the classroom, stimming, and writing. Each section is divided into three main parts. Montessori teachers who lack education and experience working with children who have special needs. Special educators who want to learn more about Montessori and apply it in the classroom. Parents of children with special needs who have chosen to implement the Montessori Method at home or school. Parents of children in Montessori education who have just learned their child has special needs. Parents who are searching for the right educational fit for their child with special needs and are interested in learning more about Montessori. My experience with Montessori is purely one of trial and error while homeschooling, combined with research, interviews, and observations. I am not Montessori certified. However, for the purpose of this book, to ensure it's 100% accurate, I have created a panel of certified Montessori teachers of whom I asked endless questions. I've tried my best to address any and all issues one might encounter in the Montessori classroom based on all we've experienced. If you're interested in learning how to combine the worlds of Montessori and special needs, this book is exactly what you need. Purchased your copy today! The book is currently available in ebook and paperback forms. For those who prefer ebooks, click the "Add to Cart" button below. For those who would like the paperback version of the book, the link below.